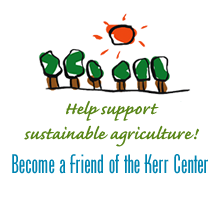 This year’s conference promises to have something for a broad spectrum of attendees — from conventional and organic farmers, to beginning and established farmers, conservationists and environmentalists, and local food advocates and community leaders. Keynote speaker for day one is Mary Hendrickson, associate professor of rural sociology at the University of Missouri and contributor to the Federal Reserve Bank’s recently published Harvesting Opportunity: The Power of Regional Food System Investments to Transform Communities. A daughter of the prairie plains and deeply rooted in rural communities, Mary will speak on local food for regional economies and creating community wealth. On day two keynote speakers will be David Montgomery and Anne Bikle, authors of “The Hidden Half of Nature: The Microbial Roots of Life and Health”. They will speak on the connections between soil health and human health, and the farming practices needed for a transformation in agriculture and health. Montgomery is also author of Dirt: The Erosion of Civilizations, and Growing a Revolution: Bringing Our Soil Back to Life. As usual, the conference will also include workshops, panels, discussions, and valuable networking time for participants. Cost to attend the conference is $70 per day or $135 for both days which includes access to all presenters, a light breakfast, lunch and snacks both days, and a Friday evening social hour. Both days will include a lunch from locally-sourced ingredients and will offer conference attendees time for networking and visiting exhibitor booths. To register, visit the conference registration page. 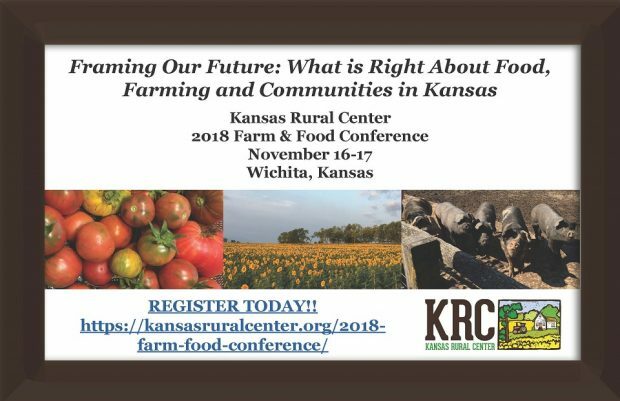 For more information, visit the conference webpage, or contact the Kansas Rural Center by email or phone (866-579-5469).